This book presents a review and criticism of all sociological literature on suicide, from Emile Durkheim's influential Suicide (1897) to contemporary writings by sociologists who have patterned their own work on Durkheim's. Douglas points out fundamental weaknesses in the structural-functional study of suicide, and offers an alternative theoretical approach. He demonstrates the unreliability of official statistics on suicide and contends that Durkheim's explanations of suicide rates in terms of abstract social meanings are founded on an inadequate and misleading statistical base. 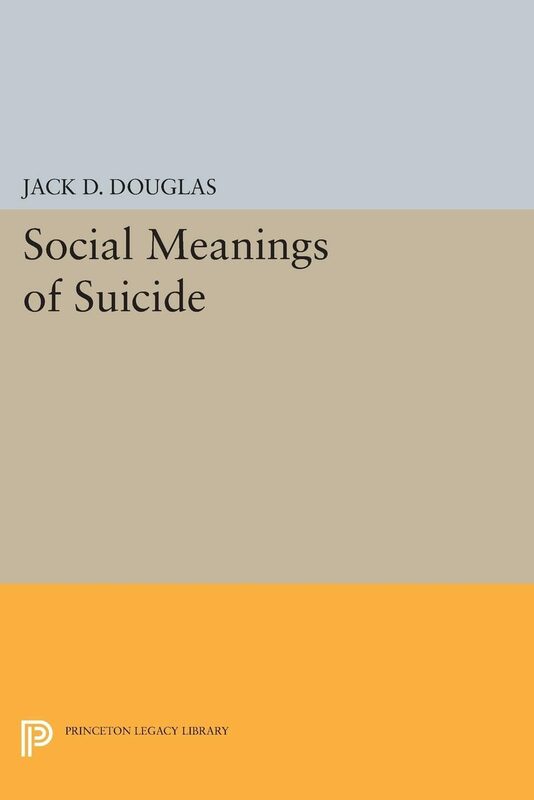 The study of suicidal actions, Douglas argues, requires an examination of the individual's own construction of his actions. He analyzes revenge, escape, and sympathy motives; using diaries, notes, and observers' reports, he shows how the social meanings of actual cases should be studied.Originally published in 1967.The Princeton Legacy Library uses the latest print-on-demand technology to again make available previously out-of-print books from the distinguished backlist of Princeton University Press. These paperback editions preserve the original texts of these important books while presenting them in durable paperback editions. The goal of the Princeton Legacy Library is to vastly increase access to the rich scholarly heritage found in the thousands of books published by Princeton University Press since its founding in 1905.